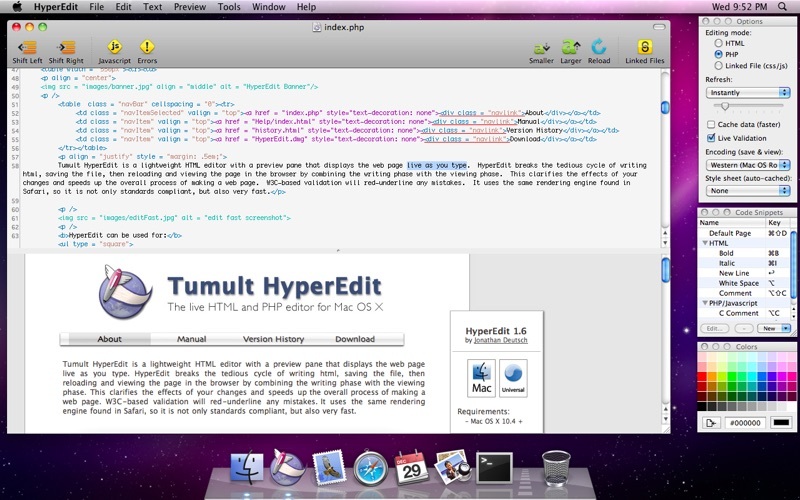 Tumult HyperEdit is a lightweight HTML and PHP editor with a preview pane that displays the web page live as you type. 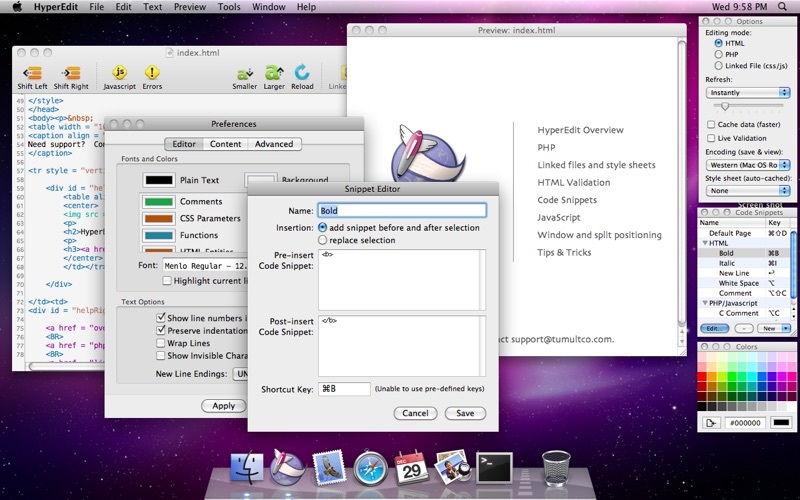 HyperEdit breaks the tedious cycle of writing html, saving the file, then reloading and viewing the page in the browser by combining the writing phase with the viewing phase. This clarifies the effects of your changes and speeds up the overall process of making a web page. 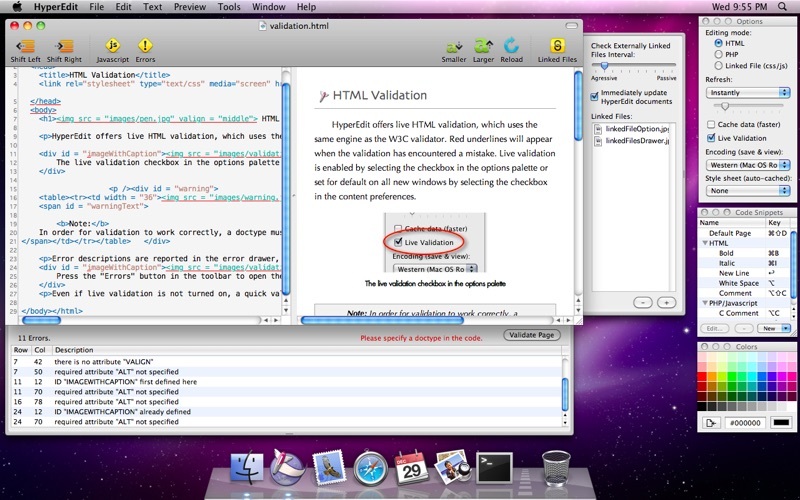 W3C-based validation will red-underline any mistakes. It uses the same rendering engine found in Safari, so it is not only standards compliant, but also very fast. * Testing HTML to make sure it looks exactly as you want it. * Testing and executing PHP code. * Writing forum, blog, or journal entries. * Interactively trying out CSS code. * And creating whole websites. * Files attached to the table in the Linked Filed drawer will cause a refresh of the web view when they are saved.